1 entry categorized "People: Todd Smith"
In an event this past Wednesday at the Haas-Lilienthal House in San Francisco, Dutch spirits company Lucas Bols launched Bols Genever, the company's first attempt in recent years to market genever outside the Netherlands. For more about genever, we'll have an upcoming post on the spirit. Shake; wet the rim of a coupe with a lemon slice and discard; spray, rim, and drop a lemon peel. San Francisco bartending royalty were out in force: we spotted Jon Santer (Beretta), Neyah White (Nopa), Jackie Patterson (Zinnia), H Ehrmann (Elixir), Brian MacGregor (Jardiniere), Dominic Venegas (Bacar), Carlos Yturria (Bacar), Brooke Arthur (Range), Todd Smith (Beretta), and the lads from the Presidio Social Club. We listened to brief presentations from Bols' Creative Director, Sandie van Doorne, and its CEO, Huub van Doorne. They talked about the growing consumer segment they expect this spirit to sell to: drinkers of artisanal cocktails looking for quality, authenticity, and a connection to the past. (I'm afraid they've got our number.) The CEO held up his copy of The Art of the Bar, pointing out Jeff Hollinger's inscription: "San Francisco is eagerly awaiting the return of Bols Genever to its bars." Shake; strain into a collins glass; fill with soda water; drop a lemon wedge. David Wondrich was on hand to speak about the history of genever in America. Genever, or "Holland Gin," was a much more popular spirit than English gin in America in the 1800s, outselling it four-to-one. He noted that genever was one of the four base spirits around which Jerry Thomas wrote his 1862 "Bar-Tender's Guide," along with brandy, rum, and whisky. For decades, David said, American drinkers seeking genever have been screwed. But now, he said -- "Screwed no more." Piet van Leijenhorst, Bols' master distiller, then described the process of making genever, and how it differs from gin. That subject is covered in greater detail in our genever post -- but van Leijenhorst had a lot more detail than we were used to on the distilling process. He focused on the five-day fermentation and triple-distillation of the maltwine -- the fermented corn, wheat, and rye that makes up 60% of the liquid in Bols Genever. The maltwine is mixed with a distillate of herbs and with a neutral grain spirit to make up the final product. 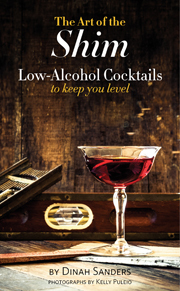 Van Leijenhorst noted that the Bols Genever that was being launched worldwide was closely based on the formula that had been used in 1820, as recorded in a Bols formula book that he displayed. We then went upstairs, where Tal Nadari, Bols' Market Manager (and a former Fabulous Shaker Boy) said a few words about integrating Bols Genever into cocktails. His suggestions were ably demonstrated by H, who made a Gin Old Fashioned. This was followed by what we found to be a rather silly video of Hollywood celebrities receiving bottled of Bols Genever as gifts -- then by an hour or two of mixing and sipping with the assembled crowd. It was a beautifully put together event in a beautiful house. We're very much looking forward to experimenting with the spirit -- which has a smooth mouth feel and a slightly sweet taste that's much more accessible than some of the "old socks in a bottle" genever we've enjoyed in the past.